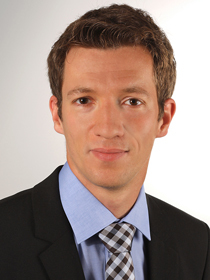 Andreas Geiges has been part of the Green Growth research process from 2015 to 2019. He was mainly involved in the work within the research project of the Centre of Excellence for Global Systems Science (CoeGSS). Andreas studied Environmental Engineering in Stuttgart and received his PhD in the related field of stochastic modeling, uncertainty quantification and optimized data acquisition for environmental systems. Furthermore, he has experience in the fields “high-performance computing”, “risk quantification” and “data analysis”. With his engineering background in numerical modeling, heis interested in the conceptual development of models for uncertain systems, especially modeling of environmental-related systems, the energy market with the special focus on renewable energies and energy efficiency as well as possible paths towards sustainable mobility. Within an interdisciplinary researcher team, he developed large-scale agent-based models (ABM) that are able to describe complex global systems. Such models will help to analyze the future potential of innovations and trends. The current example of the future electric car market aims to describe the global macro-economic system by small-scale interaction of billions of agents and their decisions. For tackling such large models, high-performance computing (HPC) is used in cooperation with several leading computing centers and companies. At GCF, Andreas developed a scalable ABM for sustainable mobility, called MoTMo. MoTMo is a consumer model of the mobility sector, which can be used to illustrate different scenarios of a transition to a “sustainability turnaround” in the transport sector. In further developing the Decision Theater methodology, his particular interest lay in realizing new forms of model development in interaction with stakeholders. Andreas has also been guest scientist at the Leuphana University Lueneburg. He currently works for Climate Analytics as part of the Climate Policy Team.